Today we sport this cozy red vest. It looks great combined with plain colors but also with some exotic patterns, like this floral dress. 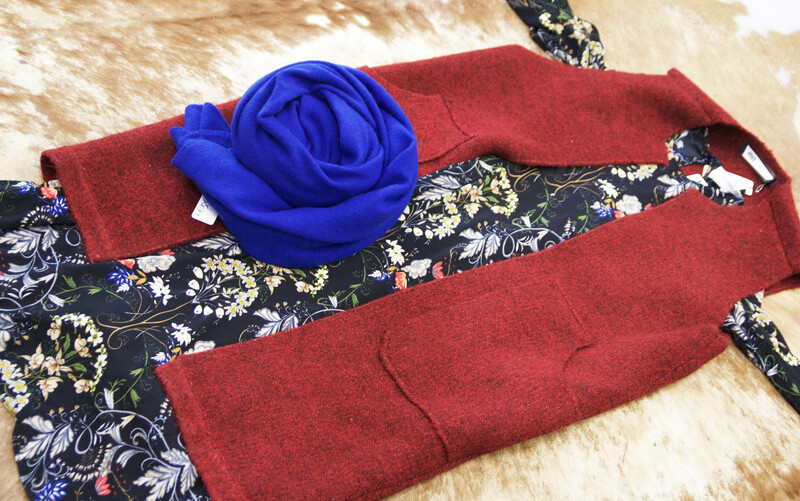 Just add this beautiful Soleil Cashmere scarf and you are ready to conquer Toronto streets! What do you think?